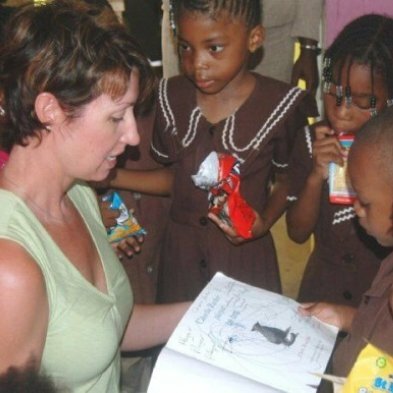 CARE Travel invites you to travel with a purpose through Voluntourism. We have proudly partnered with companies who are extending their arms and are making a difference and focused on cultural immersion. Whether it is overseas or local outreach; this is travel that creates connections, communities, and culture. We are now in the process of establishing a non-profit organization, to evolve our outreach capabilities. In the process we have met some really fantastic people, discovered some amazing charities, and our eyes have opened wider, to the world around us. We want to share what we’ve learned with you, and how you can continue to learn and help us. A form of tourism in which travelers participate in voluntary work, typically for a charity. Are you passionate about traveling the world for new adventures and having hands-on local and cultural experience? Then CARE Travel has some great options for your next vacation experience! Because our travel designers truly care about culture and community! CARE Travel builds great partnerships with suppliers, where clients can create experiences in travel that change one person at a time! CARE Travel supports and helps our clients pack for a purpose no matter their travel destination. CARE Travel and our Travel Designers participate in the Good Travel Advisor and personally take an initiative to make a difference everywhere we travel. CARE Travel recognizes the importance of sustainable projects in education, and encourages tourists to participate in communities they visit to expand their knowledge and help create change. CARE Travel knows the value and importance of Marine Life conservations. Marine Conservation Institute is a non-profit organization dedicated to protecting the vast ocean areas and advocate for ecosystem protection. CARE Travel knows the importance of feeding your own families, and with these Pura Vida bracelets you are supporting local Costa Rican families stay employed as well as supporting other great causes. Niki has been my personal travel agent for over 7 years now and the attention to detail is as great today as it ever has been. She has tremendous knowledge on the Caribbean and a ton of its’ hidden treasurers. Me and MY WHOLE FAMILY would never take a trip (Personal or Business) there or overseas without having her manage it from Our Front Door to Our Vacation Door and back. If there is better out there, then I’d be hard pressed to find one. I travel extensively and she is THE BEST!!! 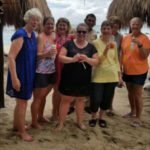 – Joel T.
I have been going to the CARE Travel Girls Getaway Trips for 4 years now. The CARE Travel team tops themselves every year! Always seeing new sites and so many choices for activities. I couldn’t even begin to think of all the luxury and relaxing they provide and pamper us with. This year’s trip to the El Dorado Royale Spa Resort in Cancun was phenomenal! If you want a great time and no hassles no worries, then let the CARE Travel Team do it all for you! 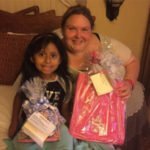 From the “CARE” package to start your trip, the luxury of the resorts they choose, the wine and dinner packages and massages, to the Welcome Home card after the trip it was AMAZING! Thanks a million for everything! Next year’s trip can’t get here soon enough! 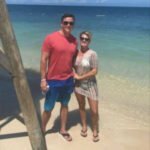 – Wendy E.
The CARE Travel team made our honeymoon absolutely amazing! From the beginning of the planning process to after we returned, the team made us feel special. They helped us to narrow down the perfect location to match our budget.  CARE Travel made the process of planning our honeymoon stress free. 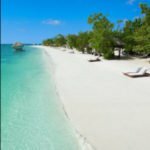 We will definitely use CARE Travel to book future anniversary trips!! – Heather C.
We cannot express how wonderful it was to work with Niki and her staff!! We will definitely use them again in the future. The VIP service through customs on international travel…WORTH EVERY PENNY! Thank again for a lovely experience. It made our wedding anniversary so special. – Jamie L.
Our family loved the attention and detail of our trip, we were first time visitors to Disney World we wanted this trip to make memories that would last a lifetime and CARE Travel done just that from day one they made us feel like family had great suggestions and always helpful no matter the day or time, we plan on making more memories in the years to come with the help of CARE Travel. 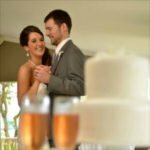 –Lisa B.
I have used CARE Travel for both my honeymoon and my 1st wedding anniversary vacations. All I can say is they are completely amazing. They work with you so well and make you feel so well taken care of. Our honeymoon was almost canceled due to resort renovation closings. Niki worked her magic and not only saved our honeymoon but made it even more amazing! They take such good care of you even while on your trip as well. Our flights home from our anniversary trip weren’t coming up correctly for us and one message to our agent Rebecca and she fixed it all for us leaving us to be completely carefree which is amazing because I am a worrier! I will always use Care Travel for all my trips and recommend everyone does the same! You won’t be disappointed! 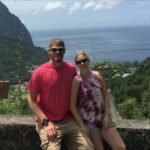 – Dani L.
My husband and I used CARE Travel for our Weddingmoon and an anniversary trip! They took very good care of us both times. They went above and beyond making sure the resorts were a good fit for the type of vacation we were looking for. We were given great suggestions on things to do and what to expect while traveling. They provided us with tons of info to make sure the trip was seamless and enjoyable! I knew if anything would go wrong they would quickly handle it and make sure our trip still a success! I will be using their services again for our next trip! – Lea H.